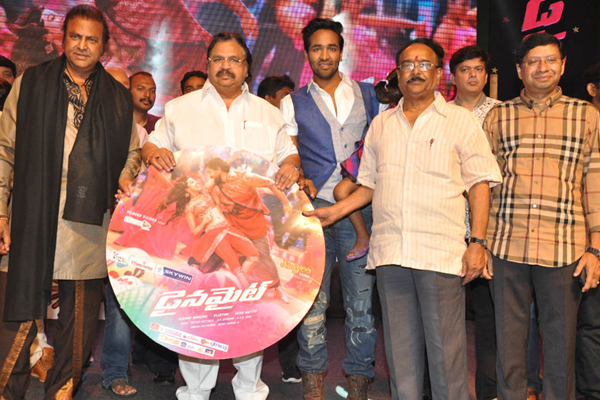 Manchu Vishnu’s upcoming film Dynamite is getting ready to hit the screens very soon. Deva Katta, who has a knack of bringing out intense dramas, is the film’s director and Pranitha Subhash is the leading lady in this movie. The trailer, which was released last week, is garnering superb response for its high octane action content. Vishnu’s rugged look coupled by stunning background scores gives an impression that this movie is a surefire hit at the box office. Produced by Vishnu himself on his 24 Frames Factory banner, Dynamite is an official remake of Tamil smash hit Arima Nambi. JD Chakravarthy is playing the antagonist’s role in this film.